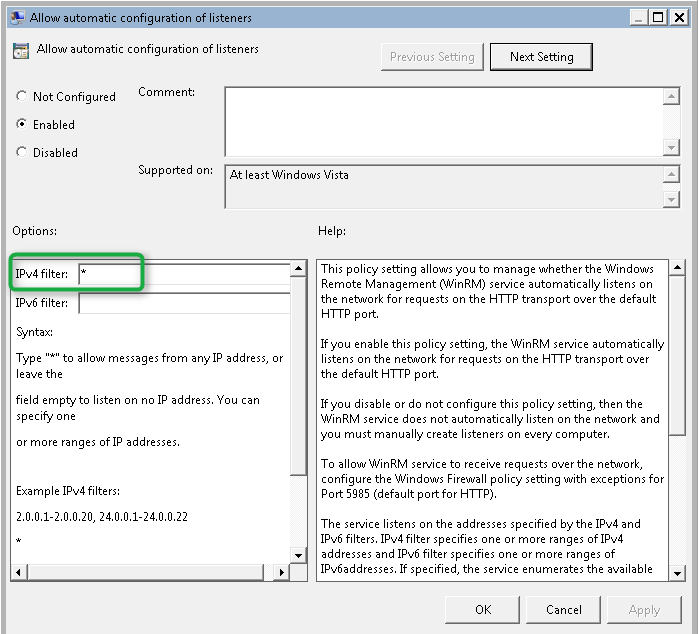 In today’s post I am going to show you how to enable Windows Remote Management through Group Policy.If you haven’t heard of Windows Remote Management yet I recommend you read the articles I have referenced below. When enabled and configured Windows Remote Management provides an easy way for IT Administrators to remotely access and manage Windows Clients and Servers. If you have used the Microsoft Sysinternals PSTools suite, you’re going to like this one as well. First let’s take an existing domain joined Windows 7 client that isn’t configured for Windows Remote Management. When we open a command prompt and enter the command WinRM enumerate winrm/config/listener we should get a message as shown in the screenshot below. 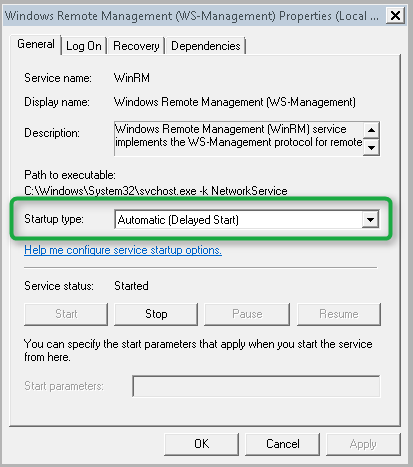 and finally we must also configure the Windows Remote Service to Start Automatically. This is done under Computer Configuration / Windows Settings / Security Settings / System Services. Once the WinRM configuration settings are applied via Group Policy open a command prompt on the client system and enter the following command: winrm/config/listener the result should be as shown in the screenshot below. and the Service is now set to Start Automatically. In fact it’s set to delayed start, this is because by default the DelayedAutoStart key under HKEY_LOCAL_MACHINE\SYSTEM\CurrentControlSet\services\WinRM is already set to 1. 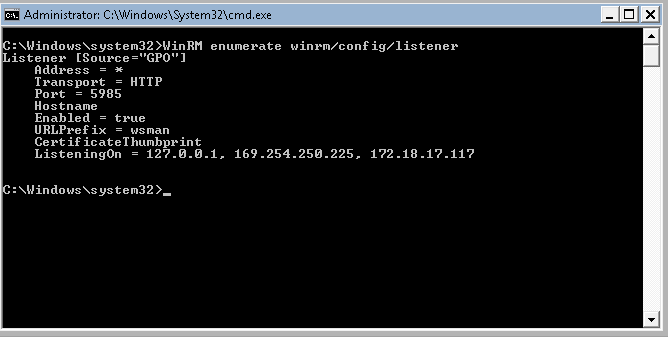 Now that we have enabled WinRM via Group Policy we can easily manage a system remotely using the WinRS command. The following command opens a command prompt on a remote system. Once a remote connection is established we can just type any command as if we were working on a local computer. 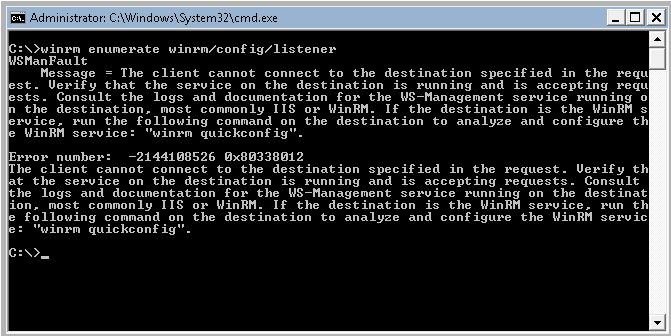 Note that you must have WinRM enabled on your management station as well. If you plan to enable WinRM within an enterprise environment you probably want to look at the additional settings to fine-tune the WinRM behavior and security. ← Previous Previous post: Are my Windows Power Settings Energy Star compliant? One thing to keep in mind; depending on your OS version (and thus legacy vs non legacy win-rm) the default win-rm listeners may interfere with other apps. It’s been a year since i deployed win-rm on a large scale and one of the issues i ran into was the default listener breaking a SCVMM server due to it stealing one of the required ports. Luckily that was an easy fix. You should also enable the Remote Registry Service in order to be able to remotely manage the registry. Is there any way to restrict access to the Remote Management to the Enterprise Admins group only? hi ! thanks! is it required to change any other firewall configurations to enable Remote Management ?